We have a new series in today that we think your reluctant reader (around 5th grade) may enjoy. 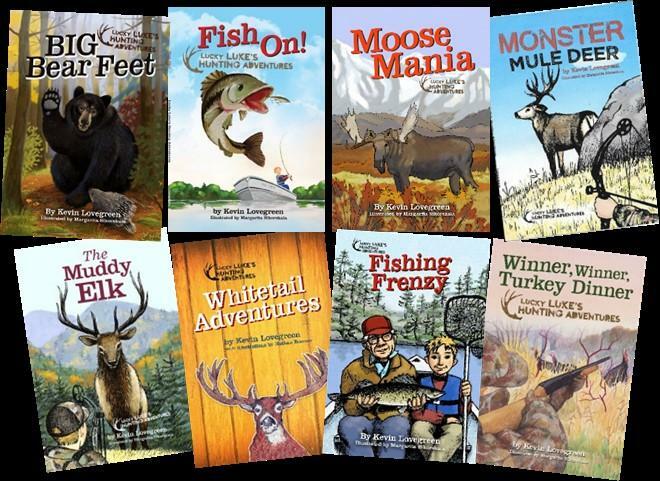 This is the ‘Lucky Luke’s Hunting Adventures’ series by MN author, Kevin Lovegreen. All the stories in the series are based on real experiences that happened to Kevin or his family. We have this set up in our junior fiction area as our Featured Book Series. Stop in and pick up a book or two! « ATTENTION JUNIOR READERS! NEW IN TODAY! !